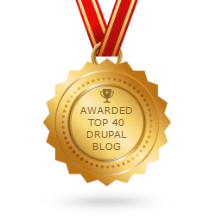 Home » Blog » Outsourced Drupal 7/8 Maintenance Can Give Better Support Than You Can! This should be relatively obvious. In some fashion, you have to procure hosting with a LAMP stack. You have tons of great choices (our partner vendors are Pantheon and Omega8.cc), and this is well-traveled territory. Then, you have to download Drupal from Drupal.org (or via Composer). Finally, you simply run the installer. Boom! Drupal! If you're reading this, you might even be able to do all of that blindfolded. Whether you choose an "off-the-shelf" theme from Drupal.org, choose a theme from another source, or develop a custom theme, the look and feel of your website is a critical part of building a website. Next we have the "how it works" portion of a website. Again, we have thousands of "off-the-shelf" modules on Drupal.org along with their various configurations. You may also have some custom modules or other integrations that you need for your organization. Finally, there is what is typically the reason for the website in the first place: content. Videos, images, blog posts, white papers, and even user comments. All of that content needs to be either created in the first-place or migrated from existing sources. You have your website. It's working and looking GREAT! Now it's your job to deal with keeping the site humming along forever? If you're a full-time developer with an organization, you likely have other development projects to move onto. If you're a full-time developer for an agency, you definitely have other projects! Whatever type of developer you are, it's important to move onto the next big project or you might be moved out of a job! You want to help with your previous projects - and maybe for awhile you can - but eventually it will become too much. Unpredictable user issues with your website! Even if you are a "Super-Developer" and can create new projects as well as provide unlimited support for your old ones, what happens when you get sick? What about a vacation? What happens when you quit? Most of our clients are on our "unlimited support" Standard plan. For $499 per website, all of the recurring monthly needs of a website are met. No reliance on an expensive department of cross-trained "Super-Developers". If you're that Super-Developer, you don't have to fear for your free-time and stress! It's important to make sure your website is secure out of the gate. Maybe you even did all of that in the initial development, but security threats come from all directions. Our free site audit makes certain that most security issues are cleared up right away and gets you fortified for the future. It's in our best interest as well as yours! It's not reasonable to think even the best security setup can't be attacked in some fashion. Because we do full emergency backups and have experience repairing hack attempts and defacement in your website, you will be back up and running in no-time. We're on your hook. We have your back, and we have you backed up. While you'll be informed of issues when we find them, you can sit-back and continue your other duties! One key to this efficiency is the use of three "critical use cases". These are the three things that are essential to the operation of your site. Whether you get attacked or not, you need to make sure these things don't break! Make Sure Your Website Has The Latest Security Best-practices Installed "Zero Day"
Because we have a member of the Drupal Security Team on our senior staff, we know about Drupal 7 and Drupal 8 security issues immediately - if not before! Because of this, the decades of cumulative Drupal experience of our staff, and our unique automation procedures, we get you fortified against recently exposed Drupal security issues within 24 hours! Because of the aforementioned three critical use cases, we do this in a manner that doesn't jeopardize your website's crucial features! Now we get to what I believe is the most underappreciated part of our service: SUPPORT. You may very well be a "Super-Developer". You may be the BEST Drupaler of all time. In fact, it's because you're the best that it's even more critical for you to get out of the day-to-day operational issues that can crop up. You may be launching another big client's website through your agency, or you might be working on a critical integration at your enterprise. What if the CFO calls up and says she can't find where to click to update her blog? Whereas we will fix anything she needs, you are torn between doing your core job of development and supporting the needs of the entire organization. Because we do so much of this support, we can bring best practices, consistent security policy, and rapid assistance to your users. Had services like this been available when I ran a Drupal agency, I would have jumped at the chance. You can't do it all! If you're like me, and you value specialization and efficiency at a flat-rate price, contact us! Drupal 7 Long-Term Support ... for after official support ends! We're solving Drupal problems... before you know you have them!